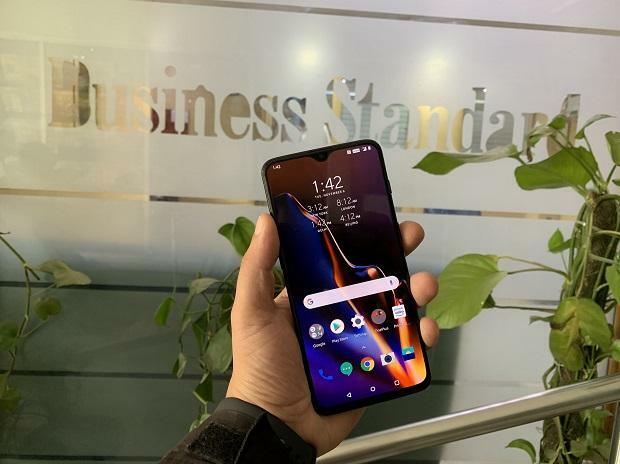 OnePlus 6T, a midrange flagship smartphone manufactured by Chinese smartphone maker OnePlus, would be available at a discounted price of Rs 33,499 during the Amazon Fab Phones Fest sale. The three-day sale on the e-commerce platform would start on April 11 and would continue till April 13. This is the first time the OnePlus 6T would be available at a discounted price. The OnePlus 6T was launched in 2018 at a price starting from Rs 37,999. The Amazon-exclusive smartphone has been available on the e-commerce platform; albeit without any discounts or offers up until now. In recent iterations of Amazon fab phones fest sale, the phone was available with cashback offers from ICICI bank. Now it will go on sale and will be available for Rs 33,499 – including Rs 1,500 discount on HDFC cards. The OnePlus has a 6.41-inch screen of 2340 x 1080 resolution with a tiny notch (waterdrop) on the top, accommodating the front camera. The phone boasts an in-display fingerprint sensor, which turns a part of the screen into a fingerprint recognition module to unlock the screen. Powering the phone is a 3,700 mAh battery, which supports OnePlus Dash Charge fast charging technology. The phone is powered by Qualcomm Snapdragon 845 system-on-chip. It comes in three RAM and storage configurations – 6GB/128GB, 8GB/128GB and 8GB/256GB. The phone boots Android Pie operating system-based OxygenOS, which supports gesture-based navigation. The OnePlus 6T has dual camera module on the back, featuring a 16-megapixel primary sensor and a 20MP secondary sensor. There is a 16MP lens on the front. The camera interface boasts several modes such as nightscape and studio lighting for enhanced output. The Nightscape mode helps the phone take better shots in low light conditions and the studio lighting mode improves the overall output of portrait shots.